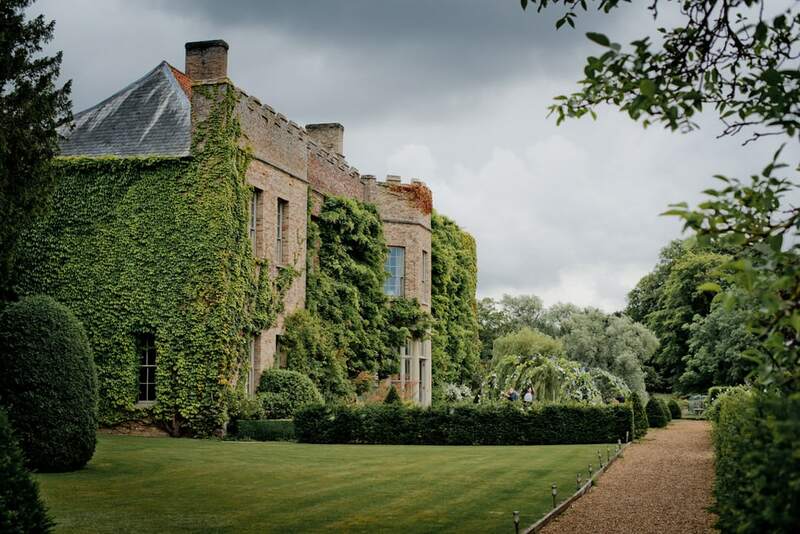 Anyone that reads the posts in my blog will know that I rave about my Norfolk wedding venues. Narborough Hall Gardens is something different. The sort of place, that as a wedding photographer, my heart races, actually races, at the possibilities as you pull into their car park early on a wedding day. There are not enough superlatives to describe this venue. I’m not paid by Narborough, but I could definitely become their agent. If any bride asked me where my all time favourite venue to shoot is, Narborough Hall Gardens sits firmly at number one. Narborough Hall Gardens Portrait Opportunities. I firmly maintain that I could shoot here for a week and still not have exhausted the possibilities. On Chloe & Chris’ day, we dodged a couple of short-lived showers, but that meant that in the preceding 10 minutes, there were EPIC big cloud formations providing the perfect backdrop for some of my favourite images this year. We had three short sessions of portraits, in the vast gardens of the main house, my objective being to get them back to their celebration without feeling that their wedding was being shoe horned into a photoshoot. 3 10-minute bursts of walking, chatting and generally hanging on to each other was all that we needed to get the shots. They were just so easy to mould around each other, that my direction was minimal. Chloe and Chris… you had epic vision… and I know that your wedding has set the bar from a styling point of view. 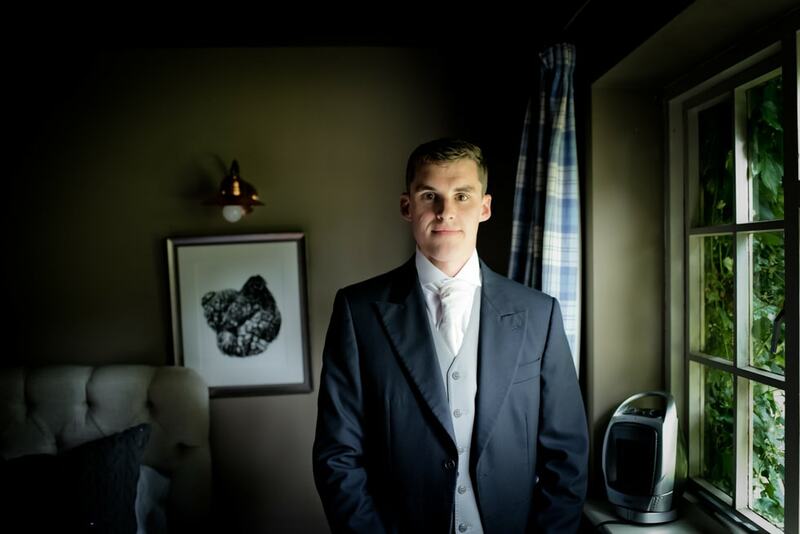 Chloe and Chris’ wedding in July was crafted with meticulous detail with Fen and the team at Narborough. Top of Chloe and Chris’ priorities was the food. 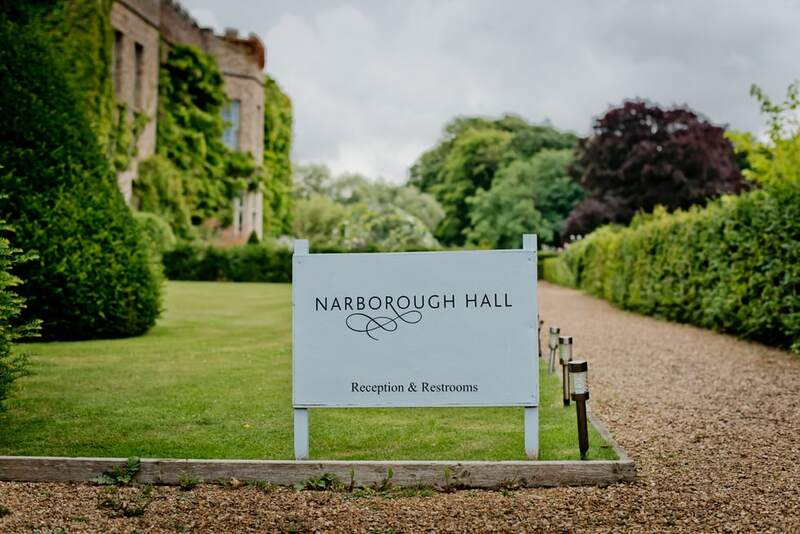 Chris is an exceptional chef, and both he and Chloe are massive foodies, so their menu was worked and reworked with absolute attentiveness by the chefs at Narborough, who will do anything to fulfil your vision of the day. Chloe has a strong connection to the Mediterranean, and the starter course was antipasti served up on rustic boards, with house bread and dips. Many of my new clients refer to the weddings they’ve seen at Narborough, and ask me to find out who the florist was. Narborough’s in house floristry team will take any theme, and do it with impressive effect. A lot of what they create is grown across the estate by Narborough’s own gardeners. Every floristry theme I’ve seen there has been breath-taking. Swathes of laurel ran the lengths of the table centres, as well as through the place settings, and echoed through their table stationery.